I feel like I’m really starting to get back into the real pleasure of listening to music again (discovering new bands, listening to whole records) and for once I feel excited to start writing once more. Initially the plan to resume dedicating some of my hours to the blog was to commence some time around early of May. So you can see how well I did with that. But what better month to pick up where I left off, than this month; my favourite month of the entire year. Especially owing to the fact that there’ll be some pretty rad releases-- like I don’t know, Julian Casablancas perhaps (??). To be honest, I’m actually more looking forward to the long-awaited, much anticipated Radio Dept. album, which as it so happens its release date has been pushed back (again!!) to February next year (although don’t take my word for it). I feel like I’ve gone through this before. AM I EXPERIENCING déjà vu? You know how it works. Oh yes, and PLUS by the time this month is over I’ll be turning 23. You didn’t think I was going to leave that one important detail out, did you? But that’s that, and this is now. 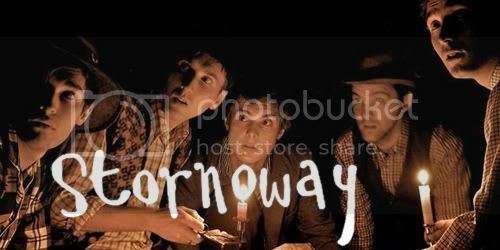 And to kick things off fresh is a lovely new band from Oxford called Stornoway. Taking their name after a remote town on Scotland’s Outer Hebrides, the yet to be unsigned fivesome makes songs of the pleasant, pastoral, folk-pop kind. They’ve only just released one single entitled ‘Zorbing’ and already it has won the hearts and praises of many. I find their music incredibly easy to jump into and tag along, attributable to its heartwarming and at times uplifting melodies. There’s nothing revolutionary or complex about the songs they make and yet it doesn’t make you admire them any less. 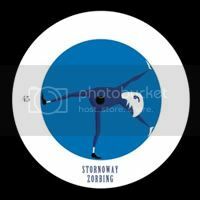 Stornoway is fast becoming one of my latest obsessions for this year, plus I’ve come to deeply adore the tunes which they craft for being that ideal representation of that blissful, summery, youthful feeling. Mmmm, perfect. Here’s a video to accompany. Why hello there drummer boy.